N5,000 travel allowance for corps members and N2 million for corpers who took part in the parade, have been endorsed by the state governor. Governor Umahi inspecting the parade mounted by various platoons of the 2018 NYSC batch B stream 1 during the closing ceremony of their orientation course. 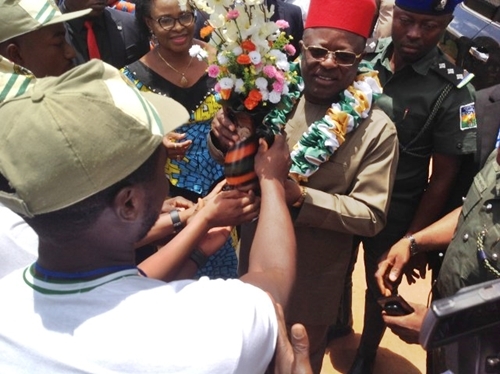 Speaking while addressing NYSC Corps members on Monday, the Ebonyi State Governor, David Umahi, announced the approval of N400 million to the scheme in the state for the renovation of the scheme’s orientation camp in Afikpko North Local Government Area. According to PREMIUM Times, the latest development is separate from the N5,000 travel allowance he directed to be immediately given to each of the 2,200 Batch B Stream 1 Corps members who ended their orientation course on Monday. 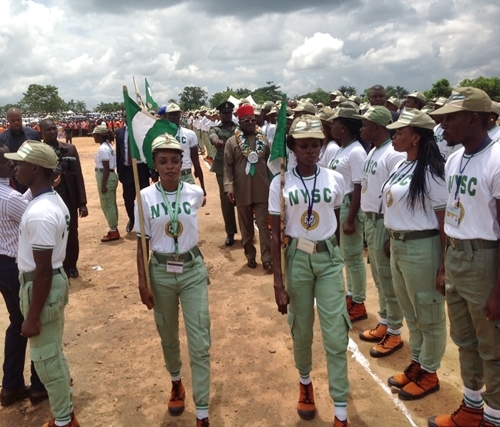 It was gathered that the governor also approved N2 million for corps members who took part in the parade, adding that all the monies are expected to come from the state government’s coffers. 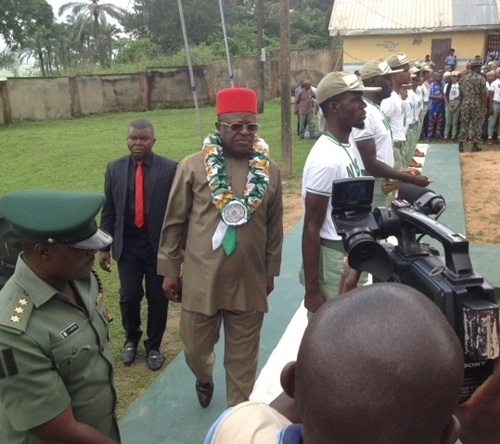 Governor Umahi who also approved various cash sums to the staff of NYSC and military officers who trained the corps members, urged them not to allow themselves be used by politicians to thwart the country’s democracy. According to him, politicians are planning to rig next year’s election and the corps members owe a duty to the country not to give in to the plots. “I have no doubt that you were adequately motivated and sensitised by officials of the Independent National Electoral Commission on your participation in the forthcoming 2018 General Election. “Let me inform you that your participation in that all important assignment is a rare opportunity for you to contribute your quota towards enthroning a credible leadership, toward governance and above all, engendering a peaceful and prosperous nation. He said the N400 million will be used to renovate the road leading to the camp, dilapidated structures in the camp, provision of drainages, regrassing of the camp’s parade ground, connection of the camp to the national grid, solar street lighting of the camp and other projects.